As the slain rapper’s fans line the Los Angeles streets to catch a glimpse of the hearse carrying his body, suspects in a grey Hyundai vehicle reportedly open fire on three men and one woman. One person was killed and another three injured in a shooting during Nipsey Hussle‘s funeral procession in Los Angeles on Thursday evening (April 11). But things took a violent turn when a shooting took place at 103rd Street and Main Street, with suspects in a grey Hyundai vehicle opening fire on three African-American men and one African-American woman between the ages of 30 and 50. It’s unclear at this point which of the victims died. The shooting comes after numerous people were injured during a stampede at a vigil following Nipsey’s murder. There were also reports of shots being fired at the vigil, but these later turned out to be unfounded. 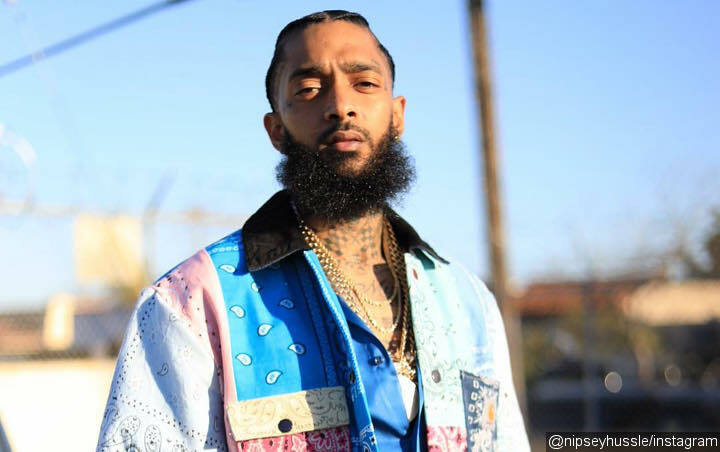 Nipsey was shot and killed on March 31 at the intersection of Crenshaw Boulevard and Slauson Avenue, near to his Marathon Clothing store. The funeral procession went past the site of Nipsey’s shooting en route to the Angelus Funeral Home. As the cavalcade inched towards the late rapper’s store, his sister Samantha appeared through the open sunroof of a car behind the hearse carrying her brother’s remains. Hundreds of thousands of people gathered around the mall outside Nipsey’s clothing store, which has become a makeshift memorial site since his death as fans place candles, flowers, photographs and notes honouring the rapper and community activist.